The nation was in mourning when February 3, 2002 rolled around. Many of you will remember that emotional and powerful television commercial that featured the Budweiser Clydesdales that aired only one time during Super Bowl XXXVI. To this day the commercial still brings a chill along with a sense of warmth to those who saw the ad. 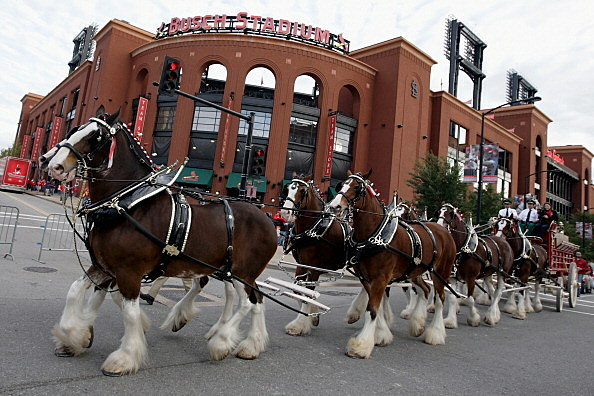 The as features the famous Budweiser Clydesdale horses as they pay tribute to the memory of those we lost on 9/11. You will recall the unforgettable, breath-taking bow the horses take. The commercial ranks as one of the most memorable, despite the fact it aired only once. You will notice that the Budweiser logo is absent, until the very end of the commercial. Here is the story. Here is the commercial in it's entirety.